Steamed parboiled long grain rice with spices, cumin seeds & fennel seeds. 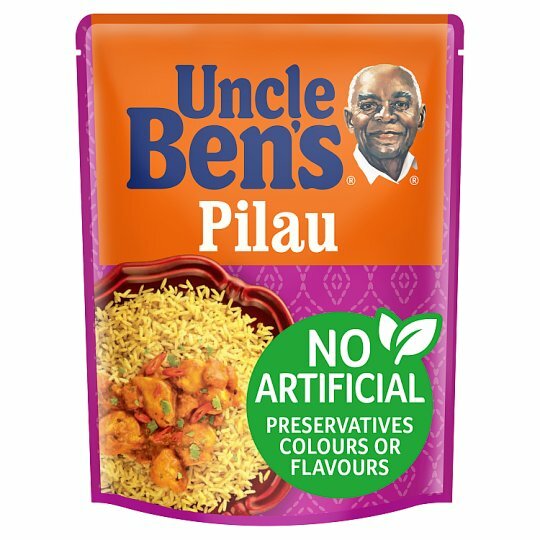 Complement your cooking with our perfectly cooked Pilau Rice. 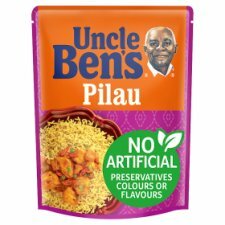 Rest assured there are no artificial flavours or preservatives and absolutely no artificial colours. Store in a dry place at room temperature. Once opened refrigerate unheated rice for up to 3 days. Hob (From Ambient): Squeeze the pouch to separate the rice. Boil 30ml (about 2 tbsp) water. Add the rice, cover and simmer for 3 mins. 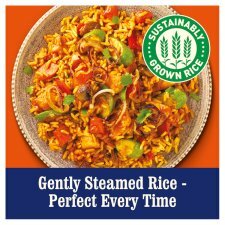 Stir rice through for a perfect finish. Microwave (From Ambient): Squeeze the pouch to separate the rice. Tear the top corner open slightly. Heat for 2 mins in a 700W microwave or 90 sec in a 900W. Chicken Tandoori never fails to satisfy - just add spinach for a tasty meal in no time.